Comedy is definitely one of the hardest themes in any form of medium to execute. The reason being is that at the heart of the matter, comedy is subjective. While someone may laugh at a line about some character being hit and sent flying to the moon, another may find that just childish. 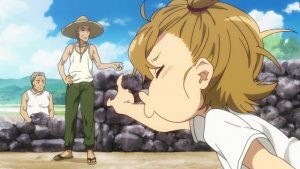 That’s why we at Honey’s Anime faced a challenge with this list you’re about to read. However, being that we don’t give up, we’re sure we have done a great job creating this list. Today we look at the Top 10 Comedy Light Novels. Since we said comedy is a subjective ideal, we had to make sure to not cater to one specific audience with our choices. There are hundreds of light novels about school life comedy or the attempt of creating relationships. While plenty of them can be seen as laughing out loud light novels, we wanted a true variety with our recommendations. Our sense of humor led us to read stories of sisters with big imaginations and even wrongly accused people who end up in some, let’s just say odd sentences. All of these works had our eyes tearing from constant laughter and we’re sure you’ll feel the same. If you’re ready for the wave of jokes and odd scenarios then hit scroll on down for the list to begin. 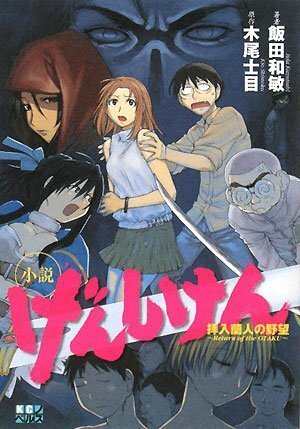 The Genshiken finds their club is in trouble. When one day a helicopter drops off a man named Ranto Hairu to the club, the days of peace seem to be a thing of the past. Ranto believes the club needs to change into something very different and the members aren’t too thrilled with that ideal. Luckily Kousaka, Ohno and the other Genshiken Club aren’t completely defenseless against Ranto’s brute force ideals. They just so happen to have a warrior who can fight fire with fire. Genshiken: Return of the Otaku starts off our comedy list in such a great and simple way. Genshiken: Return of the Otaku is based off a manga series that was already regarded as a comedy gold mine thanks to plenty of Otaku like jokes and references the manga used. Luckily for the light novel, those same ideals return in written form and are fantastic. While it’s unfortunately a short light novel series, short as in one volume, we feel that helps Genshiken: Return of the Otaku not overstay its welcome. A fun story and a ridiculous theme, Genshiken: Return of the Otaku is great for newcomers and fans alike. Imagine if you could be the hero. Imagining saving the princess, the queen and the various other damsels in distress, sounds cool right? 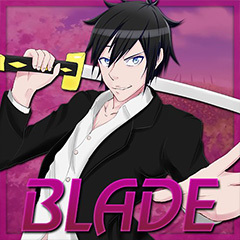 Namidare Rekka since birth was told he would be that hero and end up going into different tales during his life. Yet, maybe Rekka’s fate isn’t that great when a girl from the future claims his fate will be problematic if he goes along with it. 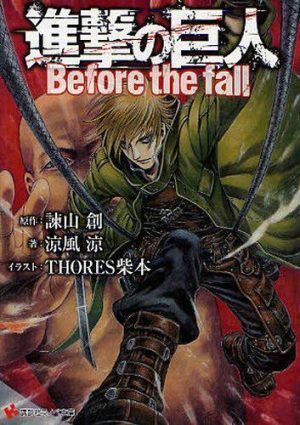 Despite the warning when Rekka’s friend is kidnapped, he is thrown into several worlds and aims to fulfill his fate…no matter where that may lead Rekka. 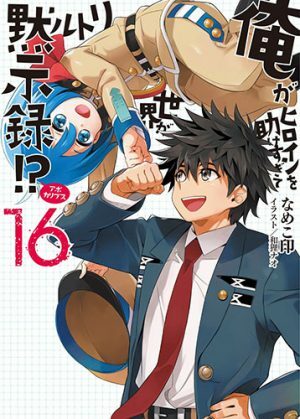 Rekka’s problematic adventure may cause him issues, but it will give readers plenty to laugh at in Ore ga Heroine wo Tasukesugita Sekai ga Little Apocalypse. This odd amalgam of comedy, romance, fantasy and harem elements seems like something that seems almost over the top, but as you read it you’ll notice it stays very consistent in always being a good mix of all those elements. Rekka’s various interactions are always humor, especially the many misunderstandings that occur thanks to his heroic feats. Author Namekojirushi really did an excellent job in writing this hilarious story. Also let’s not forget Watanuki Nao’s cute illustrations which adds a nice visual for Rekka’s tale. We fully recommend Ore ga Heroine wo Tasukesugita Sekai ga Little Apocalypse. Who knew being a Chuunibyou would be so beneficial? Probably not Sakaki Yuuichi who was a normal high schooler till he gained an odd power. Suddenly one day Sakaki was able to see words and titles floating over people’s heads. Odd titles would appear like Vampires, witch and even undead? Sakaki realized there was only one person who could help him and that was his sister who just so happened to be a super Chuunibyou. 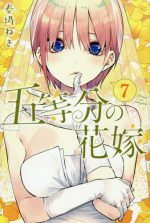 Neechan wa Chuunibyou is such a weird story that the title alone makes us laugh. 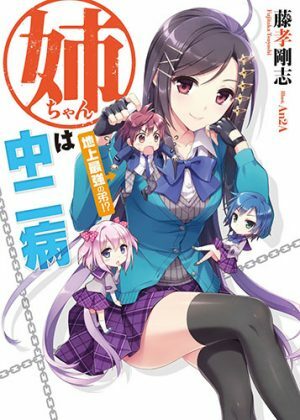 One part action and all parts weird, Neechan wa Chuunibyou is easily one of the funniest light novels we’ve read in awhile. The action works well and even the romance is done in a cute manner, but they all come second to seeing Sakaki interact with his odd sister. 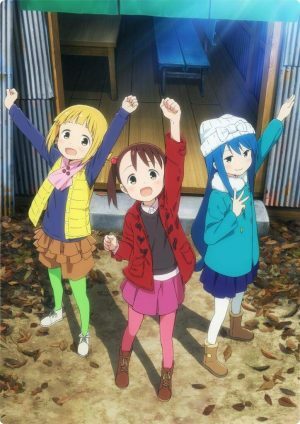 We clap our hands for the duo Fujitaka Tsuyoshi and An2A who did an incredible job with Neechan wa Chuunibyou. 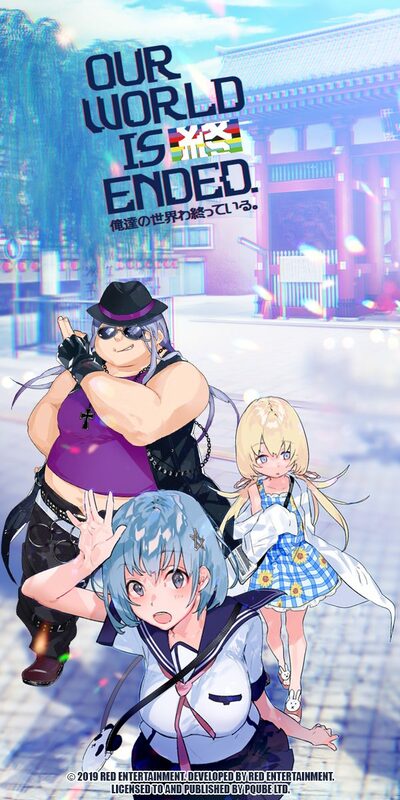 Seriously go read this right this second if you need something a bit different in your comedy light novel life. This romantic comedy, if you can call it romance easily made us die from laughter a few times. 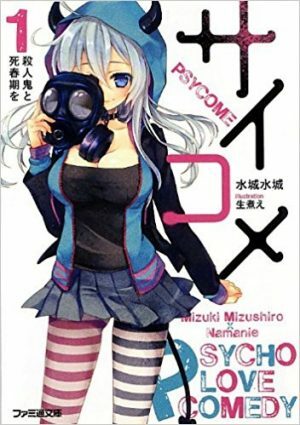 Psycome by Mizushiro Mizuki is both cute, scary, funny and all so awesome. Each chapter we felt for Kamiya’s odd situation but we couldn’t help but want to continue reading to see him deal with hearing about others killing people while he has never done that himself. 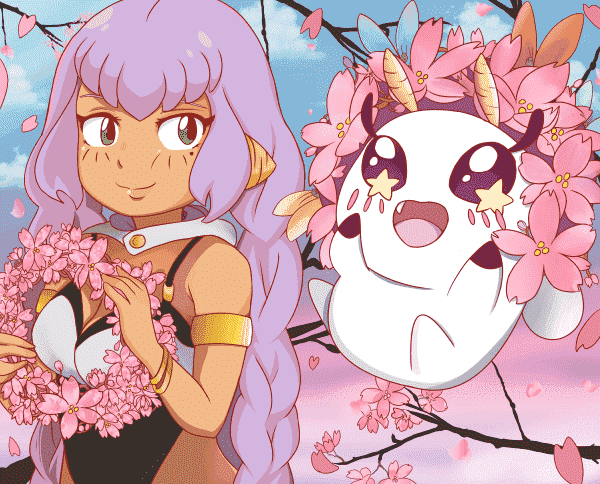 Then if the story was awesome enough, Namanie does some cute illustrations really making these femme fatales look incredibly cute. We give two thumbs up for Psycome, full recommendations from us here at Honey’s Anime. If you read this and your reaction is what, then join the club. 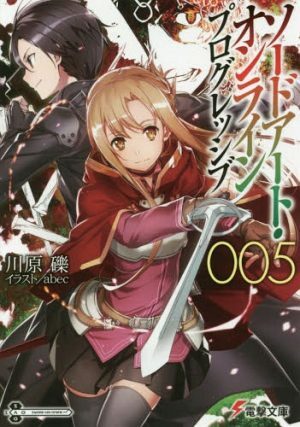 Isekai Konyoku Monogatari is probably one of the oddest comedy light novels we’ve ever read. That isn’t to say we didn’t laugh something fierce at just the beginning when Toya receives his power of unlimited baths or when he begins thinking what he could do with that seemingly useless power. 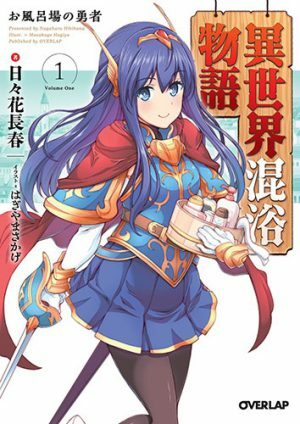 Easily you can see why Isekai Konyoku Monogatari is on our list for comedy light novels. Trust us, don’t judge this for its weird premise, cause behind that is nothing but a comedy joy ride you’ll want to take. Touya Mochizuki died one day and that just seems to be another fit of bad misfortune for his life. Though maybe Touya luck finally comes through when he’s given a chance to live a new life in a new world. God himself felt bad and added that Touya could make one final wish on top of being reborn. Touya then decides to take his cellphone. Seriously, why would anyone who could make any wish possible decide to just keep their smartphone? Well, find out why in Isekai wa Smartphone to Tomo ni. Seriously, we know you reading that synopsis made your laugh a bit. 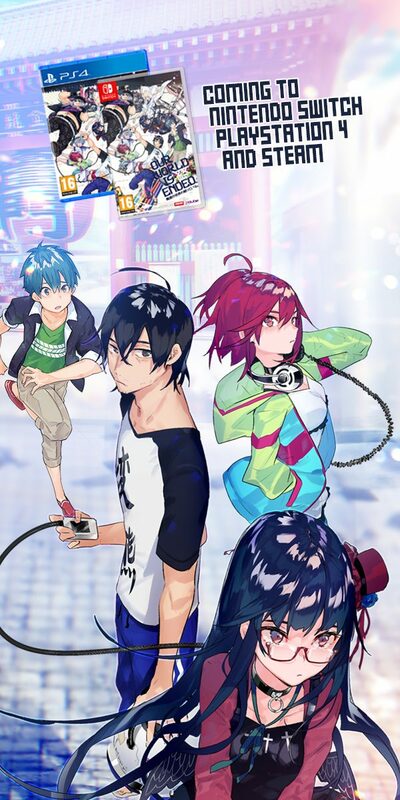 The odd story that is presented in Isekai wa Smartphone to Tomo ni is so outlandish and ridiculous you know it had to come from a pretty funny author such as Usatsuka Eiji, Page by page, we read this light novel and never felt it was ever not enjoyable and had plenty of great lines and reactions from the various characters Touya meets. We advise you to be prepared for the anime because we’re sure it’s going to make people have laughing outbursts when it finally drops. 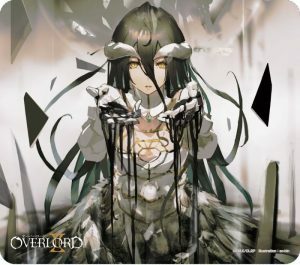 However, until that fated day we fully recommend reading the light novel. Can any death be seen as funny? Unfortunately for Kazuma that answer is a resounding yes. While going to a game store to get a limited edition game, our NEET Kazuma dies from thinking he saved someone. However, despite the laughable death, Kazuma is regarded by God to have still done something selfless and is given a chance to either be reborn or end up in a fantasy world. Choosing the obvious option two, Kazuma takes reluctant and snarky Aqua, a Goddess of sorts herself and the two transport to a new world together. Oh the joys of being an adventure may not be so great for Kazuma and Aqua. 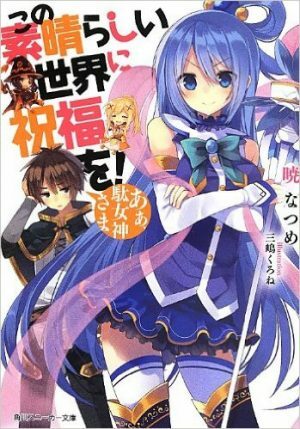 Kono Subarashii Sekai ni Shukufuku wo or better known as the comedy series Konosuba, is easily one of the funniest fantasy adventures one can read. Kazuma and his party of rejects make the reader constantly laugh with silly banter and almost laughable bad luck at times. 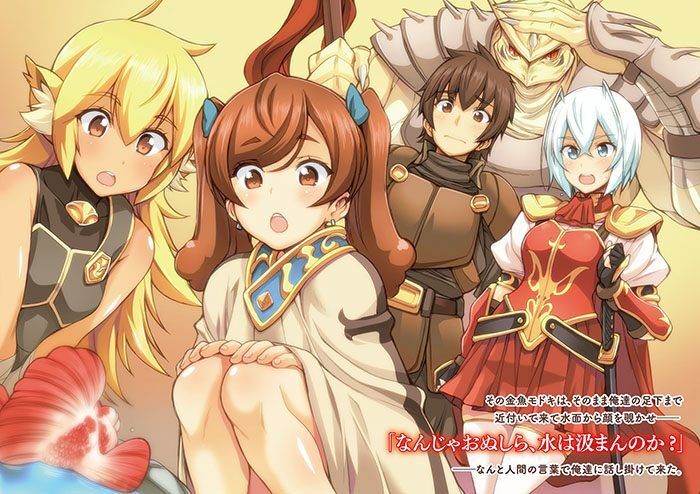 While the anime of Konosuba does the same with some great animation making the scenes even funnier, thanks to both Mishima Kurone and Akatsuki Natsume, the written version is infused with laughter in both text and imagery. If you read Konosuba, from the very first few pages you’ll find yourself with a grin plastered on your face. We here at Honey’s Anime fully recommend Konosuba for some great laughter to make any bad day so much better. Comedy seems to favor death events for its main characters. In Mushoku Tensei: Isekai Ittara Honki Dasu a 34 year old NEET meets an untimely death in a traffic accident. Luckily for unknown reasons, the man is reincarnated as Rudeus Greyrat, a baby. Instead of being a NEET once more, Rudeus is actually a talent child able to use incredible magic. Rudeus declares that he will live a life that has purpose unlike his NEET days. Second chances are rare for most people. 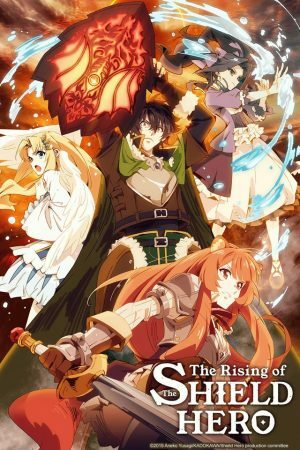 Luckily for Rudeus in Mushoku Tensei: Isekai Ittara Honki Dasu, his second chance is him leading a comedic and adventure filled life. 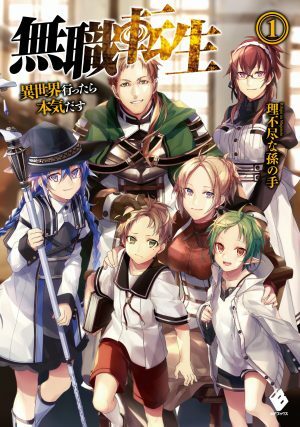 Mushoku Tensei: Isekai Ittara Honki Dasu is very smart with its humor never slamming it at the readers but using it in situations that demand it. 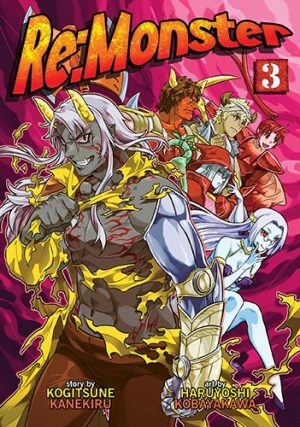 Rifujin na Magonote really wrote a comedy light novel worth being in third spot. Trust us folks, go and check this series out right now. Seriously, you don’t even need to thank us, though we wouldn’t mind a comment down below. Hachiman Hikigaya is a loner who want’s nothing to do with the school populous. Thanks to this mindset Hachiman’s peers have seen him as nothing more than an oddity. Hachiman then one day destroys his own plan when he decides to turn in an assignment that basically shows warning signs to his teacher. Her plan is to then throw Hachiman in a Volunteer Service Club alongside Yukino Yukinoshita who just so happens to be like Hachiman but way more intelligent. Will Hachiman’s outlook on life change now being forced to engage with others? 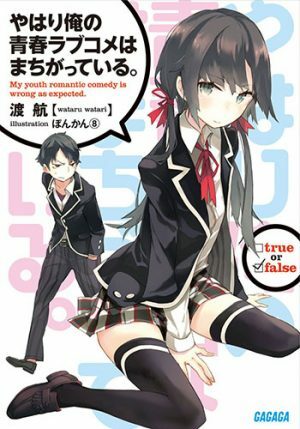 Yahari Ore no Seishun Love Comedy wa Machigatteiru title may be long but that’s the only issue with this light novel. 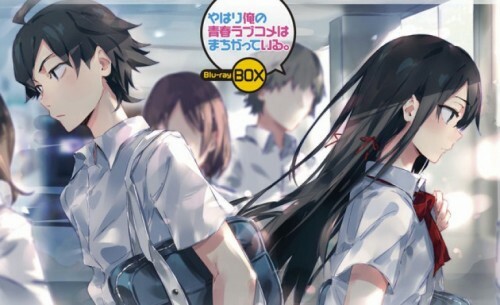 Hachiman’s bleak outlook doesn’t paint a picture for comedy in most minds but when he begins to talk you will understand why the community as well we here at Honey’s Anime rate this as one of the best comedy light novels to ever be created. The anime series is also excellent but be sure to start with the light novels first. Author Watari Wataru should be commended for making a romance comedy that doesn’t adhere to the usual tropes most cater to. We almost gave this our number one spot but it was beaten only by a small percent in the community by our final light novel. 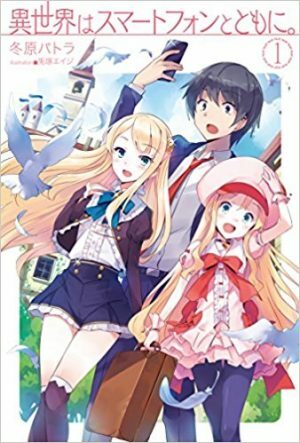 Our list ends with one of the unanimously best comedy light novels courtesy of the legendary Nisio, Isin. Monogatar Series: First Season, or Bakemonogatari to most, begins the story of Koyomi Araragi’s attempt at once more being human. 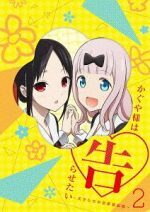 After Koyomi’s encounter with a legendary vampire and learning what the world has hidden behind the scenes, Koyomi is trying to live a normal life. However, when one day he catches a girl who weighs nothing, Koyomi’s normal life seems to be an impossible reality. Welcome to Koyomi’s fight with aberrations and various other abnormal issues. 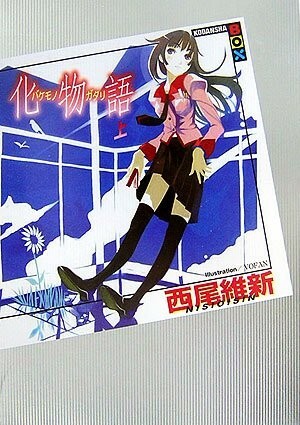 Fans claim it and we agree, Bakemonogatari is easily one of the best comedy light novels out there. 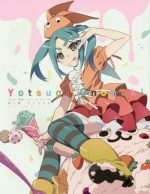 Nisio, Isin’s work is a perfect blend of a multitude of themes and they all work to make a great light novel that will have you always laughing. Scenes when Koyomi interacts with any of the various characters like Hitagi or Suruga, just make us laugh anywhere we’re reading even if that happens to in public. 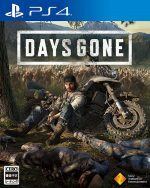 Then when the comedy dies down a bit, which is rare, the action and storytelling ramp up leaving us truly more in awe with this series. Luckily once you finish Bakemonogatari you can go and read the rest of the series for even more laughs. Comedy is an amazing element of any story. It can be used to save an awkward moment or create a slew of new ones for the reader’s enjoyment. Comedy can be thrown into almost any genre and find a home within the work without compromising the author’s creation. Trust us we know that while we probably found some amazing light novels of pure comedy bliss, we here at Honey’s Anime are always on the lookout for even more recommendations. Let us know in the comments below a work you think could have been on this list or let us know which of these got you good with some smiles and laughter. Keep your eyes focused on Honey’s Anime for great recommendations list coming out every so often.